Something occurred at work today that took me back to memories of life just after Dday. I was a basket case for a while. Even after the worst of it I was still very much buried in the weeds of the jungle that is recovery. It was almost impossible to see anything but the weeds. 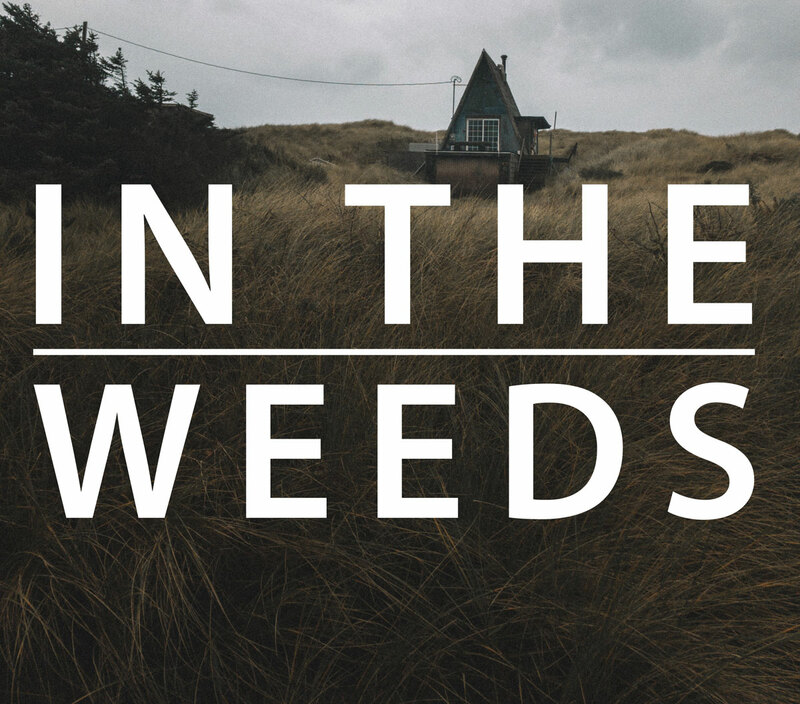 I started making decisions based on being in the weeds. Some days I would decide I was done, only to decide shortly thereafter I was ready to fight, then later that day or the next it would hit the fan and I would decide I was again done and around it would again go. Some days I wanted my wife dead other days I wanted to save her. It felt like I was stuck on an awful rollercoaster from hell. If I would have continued on that rollercoaster I can honestly say I wouldn't be here today. I received some great advice as to getting off of that roller coaster. I desperately needed to find a way to rise above the weeds and see the bigger picture. The advice I was given was to set a date in the future. I had to stop making long-term decisions based on short-term situations. I was told to set a date in the future far out enough to be able to see the trend, but not so far as to be codependent. After I set that date, I was told not to make any long-term decisions concerning myself, my wife, our marriage or family until after that date. In my case, I chose a year (through prayer and advice from mentors). I would not make any long-term decisions for a year. At the year mark, I would re-evaluate my situation. With the pressure of the decisions off my shoulders, I was free to concentrate on me and my recovery and let God work on my wife. Through the year we slowly, and sometimes agonizingly, moved towards recovery. At the year mark, we weren't "recovered”, we still had a ways to go, but I could see that we were trending positive. I could look back and see the footprints heading in the right direction. I decided at that point I was in for the long haul unless there were extreme circumstances. In the HH book, this is termed learning to love limbo. For everyone stuck in the chaos, I urge you to pull yourself out of the weeds. Release the burden of the daily decision and concentrate on your recovery. My wife and I had been together for 19 years when it blew up. I felt one year was a sacrifice I was willing to make for my family. I could only hope that my wife felt the same. Today we are 8 years past Dday and celebrated our 27th anniversary in March of 2016. I’m very happy that we gave recovery the time and the work required. Our family deserved it. For me it is 4 years past dday. There is positive trending......unless I mention the affair or I trigger and fall apart and then all hell breaks loose with him and he becomes physically intimidating, but never hits me, just yells. As long as I don't mention it, we are fine and he tries to be transparent and do some of the things he should be doing to help me heal. Everything is done by the H4H course recommendations ....except talking about it. My weeds are so high, after his 20 year infidelity, that I don't know if I will ever see over them. I would think that after 4 years we should be through recovery, but obviously we are nowhere close. I have a similar dynamic in my marriage. It's been 20 months since D-Day. When emotional abuse has been fully functional for so many years, we don't even recognize it. Compliance, doing what it takes to keep the peace, become habit. Because his tactics of evading conflict work so well, they are his habit too. His kick-back reaction. We hadn't fought in years, I thought we had a good marriage. I realize now I had settled for a crappy marriage. Only now I know just how messed up it was. I won't go back to that, and our fighting reflects that. If he can't change his abusive manipulating behaviors, I'm out. I just need to recognize it, because it's so familiar that I don't even see it sometimes.